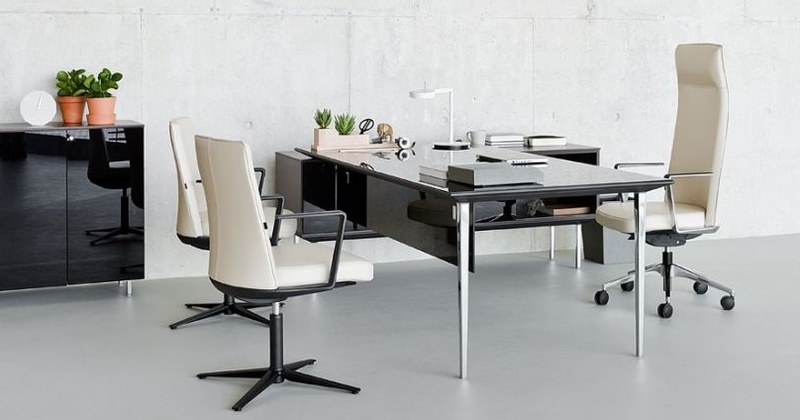 Longo is an elegant modular office furniture system that combines soft seating with desks and storage systems.Light and minimalist in looks but with functionality that allows task focused work rest for creative thought and collaborative space all in one connected piece of furniture. There are also stand alone bench desks, conference tables, credenza cupboards as part of the range.Combined with the contemporary finish choices Longo opens up a wide range of possibilities for modern open plan and executive offices. The solid Aluminium structure and cast iron legs allow for the suspension of desk and table tops, cupboard and seat and back cushions to give a durable solution as wee as a consistent theme. This range was designed in Spain and is available to order for delivery in 15 - 20 days. Please take advantage of our in house, professional space planning and office design service in support of this range. We will return with 3D rendered visuals that will help you envisage your space before placing your order. Further in depth information about this range can be found within thr downloadable catalogue contained within each of the product pages.